Microsoft wants to help its cloud customers feel better protected from intellectual property lawsuit threats. To that end, the company is launching a new feature that’s designed to give them additional shielding. The Azure IP Advantage program (the IP stands for intellectual property) provides a trio of benefits. First, Microsoft will indemnify all Azure customers from intellectual property infringement claims resulting from their use of Azure products, including open source components. 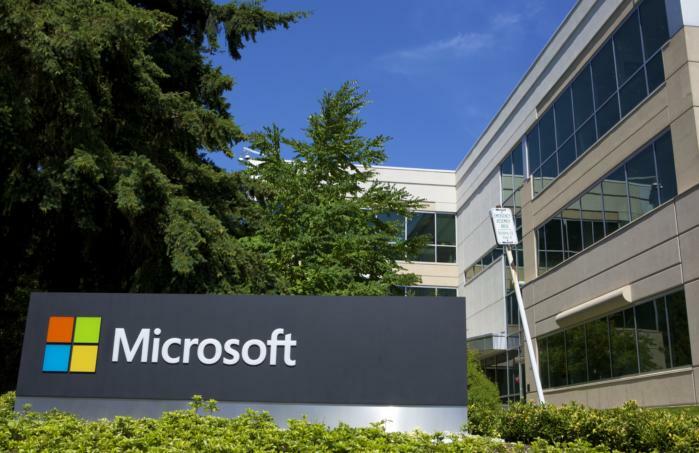 Second, the company will allow customers that meet a set of criteria access to a "patent pick" program, which will allow them to transfer one Microsoft patent from a list of 10,000 to help them with defending against an infringement suit. Third, in the event Microsoft transfers its patents to a non-practicing entity -- sometimes called patent trolls -- eligible Azure customers will get a license. The system is supposed to help ease the transition to the cloud by giving companies extra peace of mind. Right now, lawsuits over intellectual property relating to open source technology in the cloud are rare, Forrester vice president and principal analyst Jeffrey Hammond said in an email. But the frequency of cloud-based IP lawsuits rose 22 percent in the past five years, as Microsoft President Brad Smith pointed out in his blog post announcing the new protections. "It's an easy insurance policy for something that seems remote today to most enterprise IT shops and ISVs [indepedent software vendors], but it's something that could become an issue in the future, long after they’ve made strategic bets on public cloud providers," Hammond said. Microsoft's IP benefits are also something that could help it stand out in a crowded cloud market. The tech titan has tried to position its cloud as the friendliest home for enterprises while it competes with the likes of Google, Amazon Web Services, and IBM. Hammond sees Microsoft's action as a move to try and nip the potential cloud IP lawsuit problem in the bud before it becomes a bigger issue. Furthermore, it might help some companies that are evaluating the cloud. "I think it will be most interesting to smaller ISVs that want to build a SaaS-based offering on a public cloud and conservative enterprise shops where the general counsel's office still has concerns about adopting open source frameworks for strategic applications," Hammond said. The move could also help accelerate cloud lock-in for those companies that are gun-shy about intellectual property lawsuits targeting their cloud workloads. These protections only apply to what’s running in Microsoft Azure, so companies that leave Microsoft’s cloud will be leaving their coverage behind. Similarly, those companies operating in a multi-cloud configuration won’t be entirely covered. Microsoft already offered customers indemnification from intellectual property lawsuits resulting from the use of its services, but it didn't cover the use of open source technology. Starting Wednesday, the benefits changed to also cover things like the use of Hadoop, which is the backbone of Microsoft's Azure HDInsight product. That means Microsoft will step in to defend its customers in the event that a patent troll or other firm goes after their use of Azure services, even if the issue at hand involves an open source component of the service they’re using. In the event that an Azure customer faces a patent lawsuit over their technology, they can ask Microsoft for one of 10,000 patents that the company is making available for lawsuit defense as part of its patent pick program. The list of patents includes those from the U.S., as well as countries including Germany, Japan, and China. Azure customers will be able to pick from such patents as "Honey Monkey network exploration" and "Secure recovery in a serverless distributed filesystem," assuming they meet the conditions of the program. The program is only available for Azure customers who spend more than US$1,000 on their cloud bills with Microsoft every month. Furthermore, they must have been sued for patent infringement over their patent workloads, and can only use the patent they get to defend against a suit. Any customer who has sued a fellow Azure customer for patent infringement over their Azure workloads in the past two years is ineligible. Microsoft will transfer the patent that a customer picks for them to hold in perpetuity, solely for the purposes of defending against patent infringement lawsuits. The company will charge a customer taking advantage of the patent pick program for the administrative costs for transferring the patent. If one invention is covered by different patents in different countries, Microsoft will transfer the patent that’s relevant for the locale in which its customer is defending against a lawsuit. In the event that Microsoft transfers some of its patents to a non-practicing entity in the future, Azure customers spending at least $1,000 per month on their cloud bills for the previous three months will be covered by a license to those patents. The company said that it does not typically sell patents to non-practicing entities. This service basically serves as an extra bit of insurance for concerned Azure customers.